Jenina Lepard has been in practice as a clinical social worker since 1992, and she is licensed as an Independent Clinical Social Worker. She holds a Board-Certified Diplomate from the American Board of Examiners in Clinical Social Work, and she is certified as a psychoanalyst by the National Association for the Advancement of Psychoanalysis. Jenina completed the International Psychotherapy Institute's two-year core program in Object Relations Theory and Practice in April 2014. Jenina specializes in life improvement and motivation, couples and marital therapy, family therapy, child and adolescent issues and personal coaching. She is experienced in working with people in life stages ranging from young children to adolescents to adults to senior citizens. She has a special interest in working with people from diverse ethnic backgrounds. Jenina's office hours include evenings. She is a participating provider for Aetna, Blue Cross Blue Shield, Cigna, Magellan, Medicaid, Medicare, Midlands Choice, Military One Source, United Behavioral Health (United Health Care), Value Options (Beacon Health Options), Aetna EAP, Ceridian EAP, Employee and Family Resources EAP, Impact EAP and Life's Solutions. 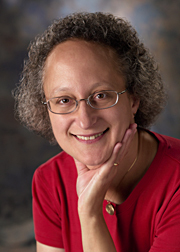 Jenina holds an MSW degree from the Rutgers University School of Social Work and she is a graduate of the Philadelphia School of Psychoanalysis. She has been practicing in Lincoln, Nebraska since 1995. Jenina is pleased to offer a free initial phone consultation.